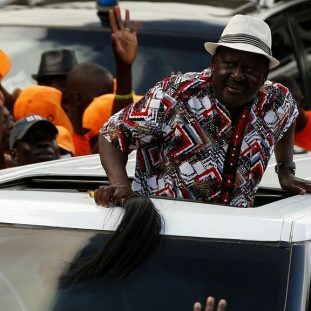 The United States has asked opposition leader Raila Odinga to call off the planned swearing in ceremony on Tuesday next week. 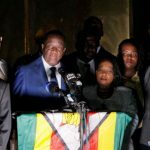 Principal Deputy assistant Secretary at the US government’s Bureau of African Affairs Donald Yamamoto on Tuesday cautioned that the move would only serve to further polarise the country. 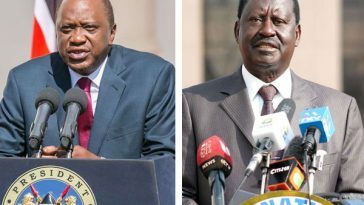 A source who attended the meeting told Nation that in return, the envoy undertook to bring President Uhuru Kenyatta’s Jubilee to the negotiating table in order to agree with the opposition on how to get out of the impasse. “Uhuru may have been sworn in but most parts of the country do not recognise his authority because he was fraudulently elected. It against this backdrop that we are seeking justice,” said the source. The meeting at US Ambassador Robert Godec’s residence was not without tacit threat to the parties, especially those who may not support the push for dialogue. Mr Yamamoto is said to have indicated that defiant individuals may face unspecified sanctions from President Donald Trump’s administration. US is not new to such talks in the country as it was instrumental in brokering truce that eventually ushered in a coalition government following the 2007/2008 post-election violence. Mr Odinga’s coalition has refused to acknowledge Mr Kenyatta as the duly elected President. At the meeting, Nasa reportedly insisted that any form of dialogue with Jubilee must entail electoral reforms with a view to laying a roadmap for another election, a stance President Kenyatta has dismissed. The President holds that the campaign period is over and that it is high time the country focuses on development. Mr Yamamoto is expected to meet President Kenyatta in his push to initiate dialogue, and perhaps meet Nasa again afterwards. The new development comes after the US and United Kingdom governments congratulated President Kenyatta and his deputy William Ruto on their inauguration for the second term. 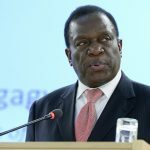 But they called for national dialogue to heal the country following a prolonged period of violent protests that threatened to plunge it into a political crisis. “As part of the process of addressing these tensions and strengthening institutions, we urge Kenyans to join together to hold an immediate, sustained and open national conversation to heal divisions between communities,” US State Department spokesperson Heather Nauert said. The UK government said all Kenyans should recognise the significance of dialogue and healing after months of divisive politics. The message was delivered by British Minister for Africa Rory Stewart, who attended the swearing-in ceremony. “I hope all Kenyans will recognise the need for national dialogue and healing,” Stewart said.